Two Cheerful Cards by Heather Hoffman! Today I'm showcasing fun designs by October Guest Designer, Heather Hoffman! Heather created TWO more awesome cards using some of our newest stamp sets! 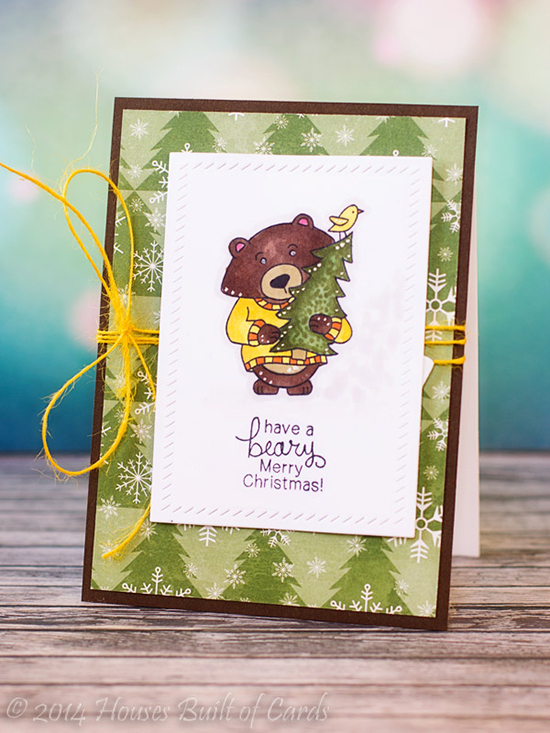 The first card (above) features our adorable Bear from our new Winston's Home for Christmas stamp set I love the bright yellow sweater she gave him - such a cheery and unexpected color combo for Christmas! Plus - I love the stippled dot effect she used on the tree and the white dots over the image add such a fun detail! 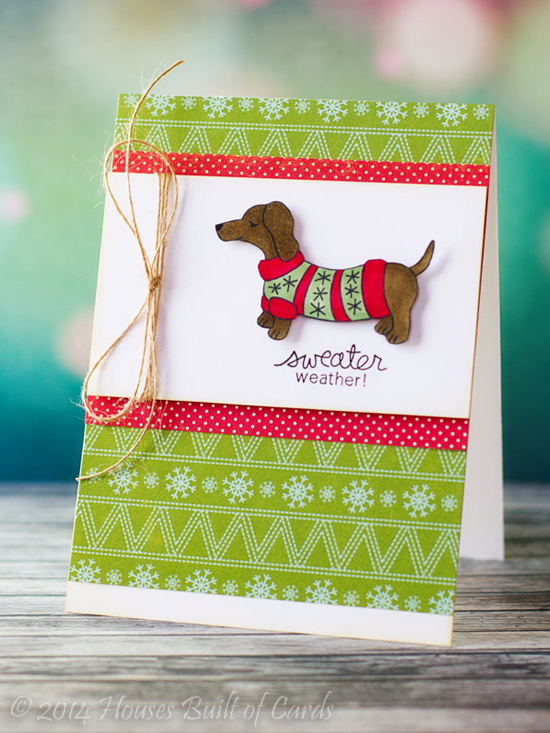 The second card features our cute doxie pup donned in his holiday sweater from our Holiday Hounds stamp set. This little guy is so adorable! I love how simple this card is - with bright pops of color on the sweater and the patterned paper! So cute and cozy for the holidays! Thanks so much to Heather for the fun cards today! Make sure you head over to Heather's Blog, Houses Built of Cards and see more of her fun designs! Loved seeing all of Heather's creativity! All the best. Awww...these are heart-warming! Love those sweaters!